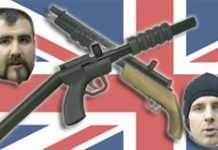 Here is an English Daystate Patriot pump. 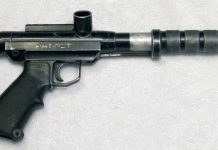 It must have been built by Daystate after the Ultimark pumps but before they made the Sam Patriot Semi Auto? 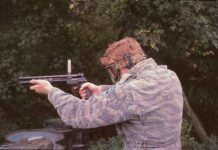 An incomplete history of the Daystate UK pump paintball markers produced in the mid to late 1980s. A Scan from Olly Bell Showing a Daystate Ulti Mark. One of the most common pumps in the UK, these used onboard air canisters to avoid co2.